Steven G. Fullwood was born on January 15, 1966. He is a respected author, publisher, and curator who may be best known as the archivist who founded the In the Life Archive at the Schomburg Center for Research in Black Culture, part of the New York Public Library. Fullwood was born in Toledo, Ohio, the son of Steve J. Fullwood, a chef, and Elaine E. (Houston) Fullwood, a bank employee. He has four siblings, Cynthia (1961-1992), Karen, Darryl (1968-2016), and Pamala, as well as several nieces and nephews whom he loves dearly and completely. Fullwood’s only son, Andre D. Rice (Andre Rize), lives in California, and is a successful painter. Coming out for Fullwood was part “we already knew, Steven, relax,” and part “now what?” Being gay, he suspected, “was difficult, but no more or less so than anyone else’s experience in the 1970s Midwest.” What made it unique was that it was his experience. “I’m a post-civil rights child, shaped by the consequences of living in a Midwestern post-industrial town that, to this day, has never rebounded economically, and is racially segregated. There was—and I suspect still is—racism, homophobia, and a good deal of intolerance all around,” he said. And while that was his experience in Toledo, there were also the comforts of 70s music, the novels and nonfiction of James Baldwin, family and friends, a miniscule nightlife, romantic relationships, and, perhaps most importantly, the library. “As a teenager, my thirst for a language to describe what I thought I was—or at least becoming—ravaged my consciousness. The main library became my sanctuary,” Fullwood said. “I regularly perused the shelves for anything Black and homosexual.” A friend of Fullwood’s at the time named Valerie went to the public library in Cleveland and discovered “In the Life: A Black Gay Anthology” edited by Joseph Beam, a book Fullwood said “anticipated my future as an archivist.” She gave him photocopies of essays and poems from the book. “My heart raced. Writings by several self-identified Black gay men. I repeatedly read those pages. These writings expanded my mind about what was possible. Coming out stories, sexual encounters, homophobia, HIV/AIDS, romance, religion, loneliness, and political activism. I felt less alone in the world,” recounted Fullwood. But only after Fullwood graduated in 1992 did library life claim him. “After three years of working as a children’s librarian, I made a decision to attend library school at Clark Atlanta University, and earned a master’s degree in library science,” said Fullwood. “In 1998, I began learning how to be an archivist, to arrange, describe, and catalog collections in the Manuscripts, Archives and Rare Books Division of the Schomburg Center for Research in Black Culture, New York Public Library.” New York shaped what was possible for Fullwood, and how he engaged, was changed, and submerged himself in contemporary Black LGBTQ/SGL culture. “I know the reason why I was able to leave Toledo was because I was loved,” Fullwood stated. “At the end of the day, the love of my parents, particularly my mother, siblings, and best friend Carla, and my kid Andre, made the difference between flying or staying in a place where I couldn’t fully develop my interest in art, literature, and film,” according to Fullwood. Fullwood’s most recent project, “Black Gay Genius: Answering Joseph Beam’s Call,” took several years to complete, and explores the legacy of Beam, editor of the first Black gay anthology in 1986. The book was conceived by Charles Stephens (also a co-editor of the book), a writer/activist/intellectual based in Atlanta, and the executive director of The Counter Narrative Project, an advocacy organization for Black gay men, who recognized a need to honor Beam. Beam’s work has special resonance for Fullwood, who sees the project as a divine providence. Widely beloved for his brilliance and advocacy, Fullwood believes in community, and re-imagining what community could be. Most of his current work acknowledges and celebrates Black LGBTQ/SGL people. The In the Life Archive (formerly known as the Black Gay & Lesbian Archive) was an archival project to aid in the preservation of the culture and history of the LGBTQ/SGL people of African descent. For the past decade, Fullwood has published several lesbian and gay writers through Vintage Entity Press, his independent publishing company, which he closed in December 2015 to pursue documentary and photographic projects. 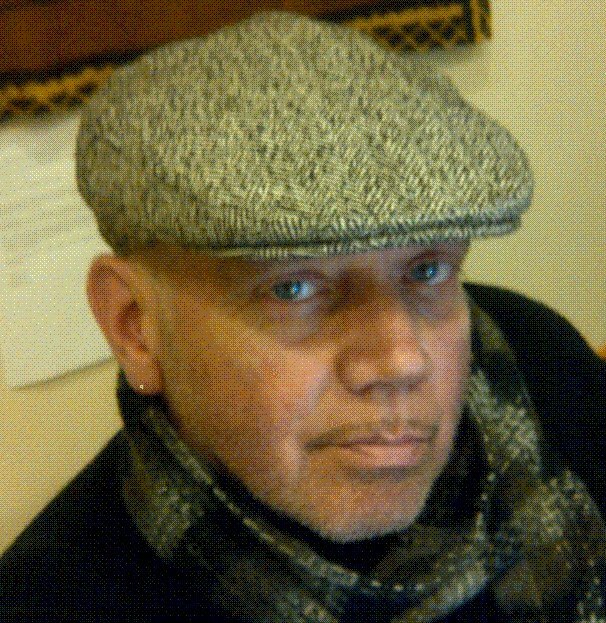 He’s also a former board member of Fire & Ink, an advocacy organization for Black LGBTQ/SGL writers and writing. “When I was younger, there were few reflections of my Black homo experience in books, film, music or in the libraries and archives. I work to be a part of a coalition of people who actively seek to leave this place better for those coming up behind us,” Fullwood declared. We thank Steven G. Fullwood for his contributions to the written word, for archiving Black and LGBTQ history, and for supporting our community.